DETROIT, April 19, 2012 – DTE Energy announced today that it plans to build its next wind park in Huron County, which will add another 110 megawatts (MW) to the company’s renewable energy portfolio. The wind park in Oliver and Chandler townships is part of DTE Energy’s efforts to expand the company’s renewable energy resources. The wind park will add to the more than 500 MW of DTE Energy’s renewable energy projects already producing, or in the planning or construction stages. The wind park will be sited on nearly 16,000 acres and host up to 70 wind turbines. 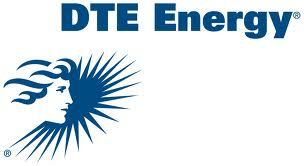 DTE Energy will file for approval from the Michigan Public Service Commission this summer. If approved, construction would begin next year. The development is being part of the Harvest Wind II development. DTEs announcement effectively doubles an early estimate of 33 turbines being placed in the area. The wind park will be on some of the 80,000 acres in Huron County where DTE Energy has acquired easements. The company has started construction this year on three previously announced wind parks, totaling another 110 MW, on 15,000 acres in Huron and Sanilac counties. Total investment for all four farms will be about $500 million. The company has completed wind and wildlife studies at the wind park site. DTE Energy will begin the design and permitting processes that will lead to construction. The wind park development is part of DTE Energy’s plan to meet Michigan’s renewable energy goals. DTE Energy expects to add about 1,000 MW of renewable power, or about 10 percent of its power, by 2015. The company plans to own facilities to supply up to half of that power and contract with third-party producers for the remainder. The majority of the company’s renewable energy will come from wind resources, but it also has a solar energy pilot program that could produce approximately 20 MW. The utility’s renewable energy capacity under contract is about 7 percent of total generation. Reblogged this on All Kinds of Wind.